It is with heavy hearts we announce the passing of our Mom and Grandma. She was predeceased by her husband Hillarry of 43 years in 2004, her parents Joseph and Gertrude Sauve, and brothers Albert and Don. She will be lovingly remembered by her children Sherry (Dan) Hampshire, Danny (Dianne), and Cindy (Tim) Haverlock and her grandchildren Kristen, Tanis, Shelby, Malcom, Graeson, and Bryce. She also leaves behind her brother Jim, as well as numerous brother in-laws and sister in-laws. Ann was born and raised in Pine Falls. Our mother’s greatest joy was family time. 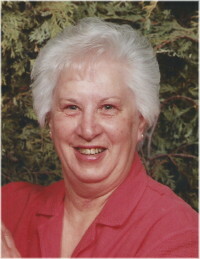 She loved camping, playing games and watching her grandchildren grow up. The family would like to express our gratitude to Deer Lodge Centre, Dementia Care and the wonderful staff for their kindness and excellent care shown to our mother. As per Ann’s request, cremation has taken place and no formal service will be held at this time. So sorry to hear of your mom’s passing. Our thoughts and prayers are with you all. I’m so sorry to read of your Mom’s passing, Cindy, my thoughts and prayers are with you during this difficult time. My sincere condolences to you and your family. God Bless. So sorry to hear of the your mom’s passing. Our thoughts and prayers are with you at this time. Please let us know if there will be a gathering. I would love to attend.